The University of Roehampton is pleased to make its annual Jacqueline Wilson Scholarship open to a general call for research topics in the field of children’s literature. This will be awarded to a postgraduate PhD student working in the field of children’s literature or creative writing for children. The Jacqueline Wilson Scholar will be based in the award-winning National Centre for Research in Children’s Literature (NCRCL) with access to the Children’s Literature Collection and archives, and will join a lively community of researchers, writers and students. This fully funded scholarship will cover home/EU fees of £4,121 for Home/EU students and maintenance of £16,296 p.a. in 2016/17 for 3 years full-time subject to satisfactory progress. To apply, please complete a PhD Application Form and email your application, along with transcripts and letters of reference, to PGresearch@roehampton.ac.uk. Please mention in your covering email that you are applying for the Jacqueline Wilson Scholarship. 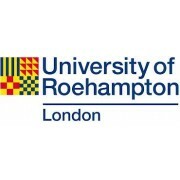 Please visit http://www.roehampton.ac.uk/Courses/Graduate-School to find out more about postgraduate research at Roehampton. For all non-academic queries relating to the studentships, please contact Graduate School Admissions on 020 8392 3715, email PGresearch@roehampton.ac.uk.